Victoria Falls, or Mosi-oa-Tunya (the Smoke that Thunders), is a waterfall in southern Africa on the Zambezi River at the border of Zambia and Zimbabwe. 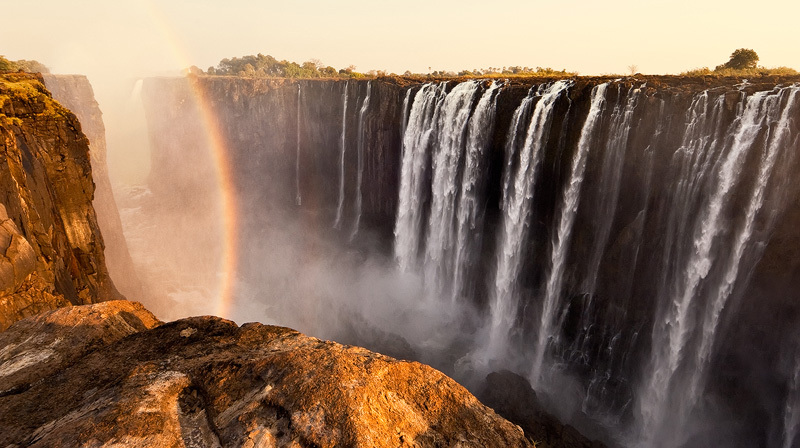 This image was shot on an early morning from the Zimbabwe side of the falls. Just before the start of the rainy season the water level in the Zambezi is low. This is good for photography, because the more water, the more spray. When the water level is high, you can't see the falls at all, you can only hear it.